As you may know, I had a few friends round recently for a festive evening. They were work colleagues past and present. I am lucky that the people I work with are more than just colleagues, but also good friends. We wanted to get together to have a drink, blether, nosh up and to swap our Secret Santa pressies. At work, we usually have a Christmas buffet each year and Norma, who I have worked with for many a moon, always makes her little Christmas Puds. They aren’t actually Christmas Puds, but delicious little truffles of condensed milk, cocoa and crushed biscuit, topped with icing sugar and decorated with little holly and ivy. They are so good; I wanted Norma to share them with you. Norma was off the same week as I, and she agreed to come down earlier than everyone (to help me set up) and also make her little puds especially for Cakeyboi. Crush the digestive biscuits into a large bowl. Add the cocoa powder, mix through and set aside. 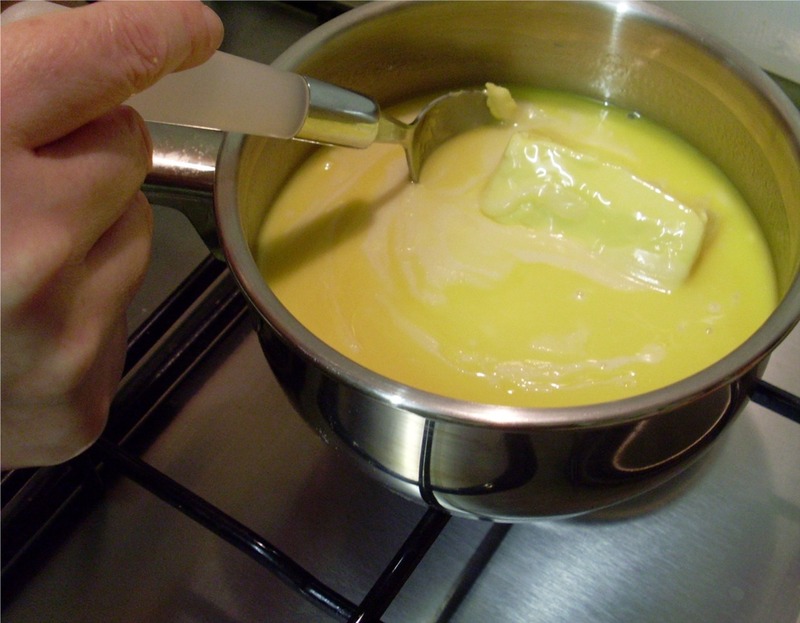 In a saucepan, melt the margarine and add the condensed milk stirring until it simmers gently. Pour this into the biscuit crumbs and stir through, until everything is mixed fully. Pop this into the fridge and allow to chill for about an hour. The mixture will start to set. After they are chilled, spoon some mix (about a tablespoons worth) into your hands and roll into balls, placing them into petit four cases. Pop them back into the fridge and allow to chill again, for at least half an hour. 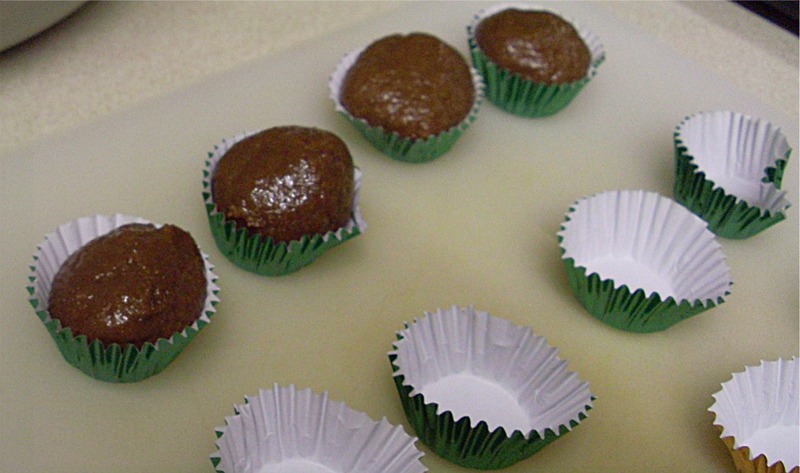 Just before you remove them from the fridge make up the icing for the tops, with water and icing sugar. Get this to a thickish consistency. With a spoon make little icing circles on top of the puds and once all are done, pop back into the fridge for another half hour, to chill again and to let the icing harden. After the half hour, remove from the fridge and on each pud, draw holly berries and some ivy. Your puds are ready to enjoy! They are lovely and chocolaty, with the decadence of the rich condensed milk ( a personal favourite) and the texture from the crushed biscuits. Thanks Norma, from Cakeyboi and his visitors. I remember these from my childhood! These are charming little treats. Thank you and Norma for sharing them with us. Yes, big hugs and kisses to Norma! Phworr, these look a bit of alright!